I remember first stepping off the jet at PEK, into that frigid January night, and not knowing what to expect. All I had was some clothes, some musical instruments so that I could hopefully play a gig or two, and the expectation that I would likely only be in China for about a year. Little did I know that this delightful place would have me locked in for years to come. I was filled with excitement to be in Beijing as this had been a place I wanted to visit ever since I could talk. My grandmother was a travel agent back in the 80s, and every time we made family trips to visit her, she would break out the slide projector and show us images of her Asian adventures. China just seemed different on so many levels and attracted me early on. I collected picture books, pretended I knew kung fu, and always demolished my Mushu Pork and fried rice on family Chinese takeout nights. At one time my limitless imagination had me convinced that I was adopted and secretly smuggled into the states from China. Not sure about my rationale here, but my parents were obviously not too pleased with this proclamation. I even had a little green hat with a red star that I would wear around the house that quickly got frayed and tattered from constant wear. So you can imagine getting off that plane and journeying into the city was thrilling for this bright-eyed and bushy-tailed young lad. I could barely sleep for the next week, and would get lost around my hutong neighborhood every day, taking in the sights and smells (good and bad) of my new home, then shooting off to Wudaokou’s D-22 in the evening to catch up-and-coming bands. But after a week this music venue closed, and inevitably since I came here alone, loneliness that set in. It wasn’t my first time abroad, but it was difficult that I didn’t have any good friends to share these experiences with. I was all alone and had no clue where to meet like-minded people. I had some acquaintances from class that I would sometimes pick up some chao jidan xihongshi with, but none of my ride-or-die mates that I had spent the majority of my post-collegiate days with were here, feasting on morning baozi and drinking Beibingyang with me. I began second guessing my decision to come here. I reached my lowest point on a Saturday evening, about a month in, home alone watching Karate Kid (aka Kung Fu Kid), the 2010 reboot of the 80s classic. In this coming of age tale Dre, played by Jaden Smith, is not happy that his mother moved him from his home in Detroit, Michigan to Beijing, but eventually despite constant bullying begins to acclimate to his new surroundings, through his education in Chinese martial arts by Mr. Han, played by Jackie Chan. Inexplicably this struck an emotional chord with me, and my eyes started to moisten ever so slightly. I couldn’t believe that such a basic flick had this effect on me, but I guess some themes rang true, and became my mantra of sorts in the months and even years that followed. While we don’t all have a “Mr. Han” character to lead us on a path of personal growth and development, I quickly picked up that friendship is anywhere you take the time to discover it, and to try and limit complaints about this city that stem from how different China is from your country of origin. The more effort you put into weighing out the areas where Beijing doesn’t suit your needs as a person or family is time that you are wasting when you could be out experiencing the beauty and enchantment that it contains. That is if the AQI permits, of course. I’m not saying Beijing is perfect, and that we should all immediately succumb to its benevolent power, but instead, we should respect these differences and spend more time finding a community of locals or expats that we can thrive in. For me, this community was music and art, but one of the great things about Beijing is that there is a little bit of everything at the tip of your fingertips if you just put in the effort, and there are plenty of resources like beijingkids and the Beijinger to nudge you in the right direction. If you keep these things in mind while settling in, you’ll quickly adjust and begin to make the most of your time here for however long you decide to call Beijing your home. Our Home & Relocation Guide 2018-2019 issue is now out! The featured illustration cannot be republished or reused without the written permission of beijingkids and Vladimirova. 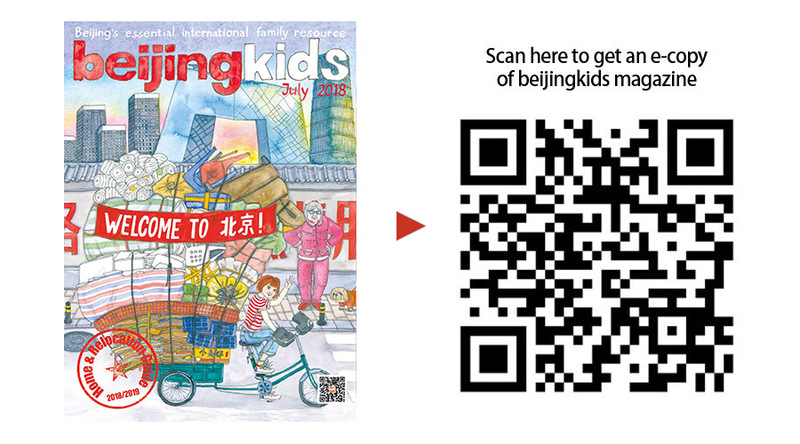 This article appeared on p5 of the beijingkids Home & Relocation Guide 2018-2019 issue. Crossing the Border: When Does Culture Shock Become Racism? Law of the Land: Laws, Rights, and Scams – Oh My!